I learned all about pings when I first took a networking class in high school to be near my then-crush (now husband). 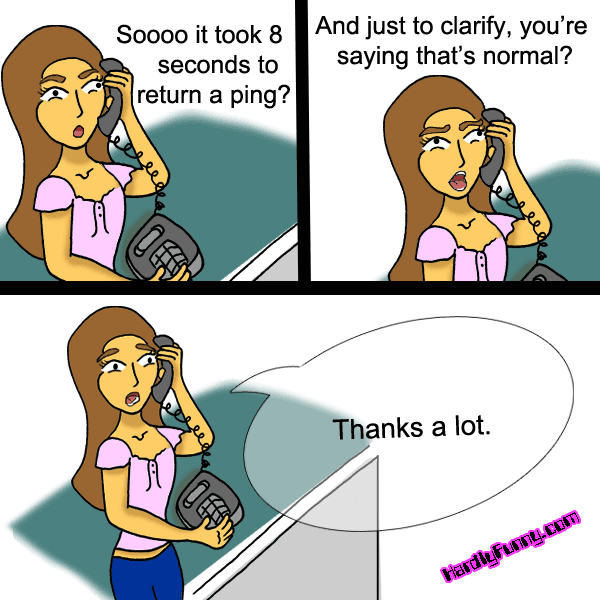 I like to show off that I know what a ping is but it doesn’t necessarily help in certain situations…. like when the internet crapped out at work and tech support said it was fine. This entry was posted in Posts and tagged samantha by Samantha. Bookmark the permalink.